A function was held on 19th April 2005 at the ancestral home of T.K. Padmini to release the book on the left. 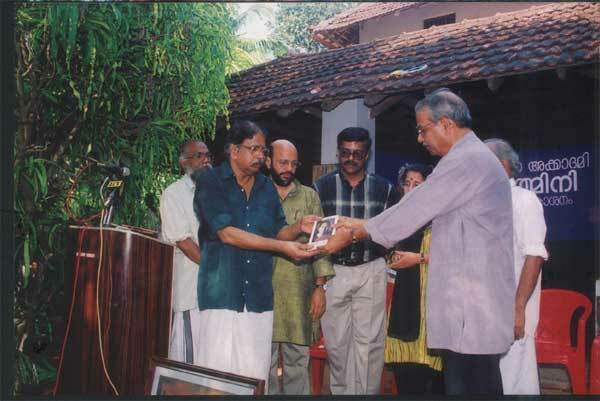 C. Radhakrishnan released the book and E. Harikumar received the first copy from him. 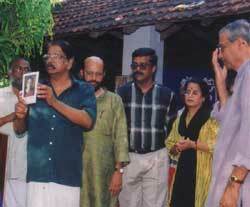 R. Gopalakrishnan, Secretary, Savithri Rajeevan, poet and art critic, A. Sivasankar, I.A.S., Dist. 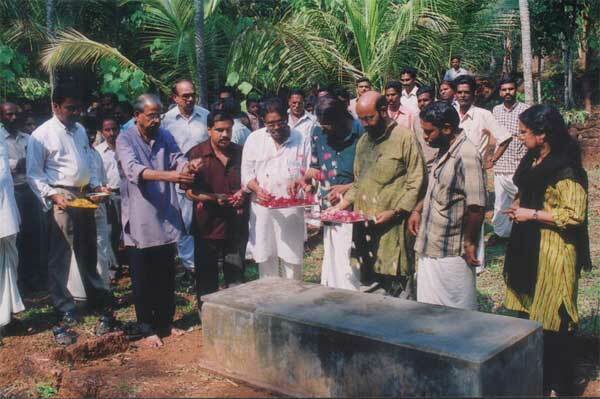 Collector, Alankode Leelakrishnan, Dayanandan, Exec.Member of the Akademi, Mr. T.K. 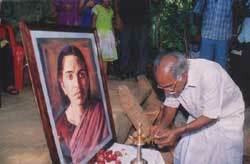 Divakara Menon and Mr. Dayanandan spoke on the occasion. is Mr. T.K. Divakara Menon. 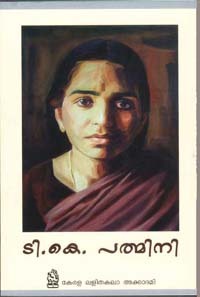 The book published by the Kerala Lalithakala Akademi, Thrissur, Kerala, on T.K. Padmini. 1. A preface by Artist Kanai Kunhiraman, ex-Chairman and R. Gopalakrishnan, Secretary. 2. Memoir by T.K.Divakaran, maternal uncle of T.K. Padmini, who had been a guiding force in the life of the artist. 3. 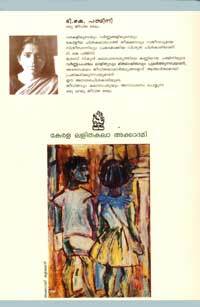 Memoir by husband Artist K. Damodaran. 4. Memoir by Poet Edasseri Govindan Nair. 5. Color reproduction of 28 Paintings and 8 drawings. Releasing the book by Mr. C. Radhakrishnan and Mr. E. Harikumar. In the background are Mr. Dayanandan, Program Convenor, Mr. R. Gopalakrishnan, Secretary of the Kerala Lalithakala Akademi, Mr. M. Sivasankar, I.A.S., Dist. Collector, Ms. Savithri Rajeevan, and Mr. T.K. Divakara Menon. Releasing the book - another photo. 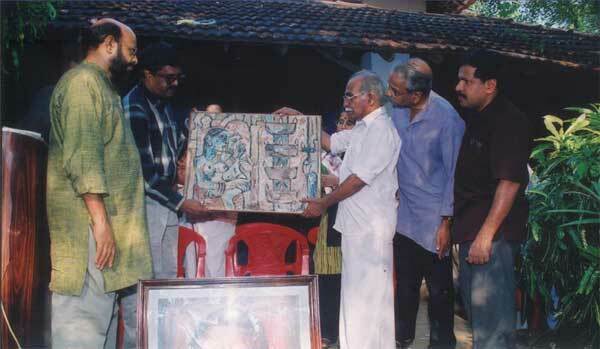 Mr.T.K.Divakara Menon handing over a painting by T.K.Padmini to Mr. M. Sivasankar, I.A.S. for display at the Malappuram Art Gallery.